MANILA, Philippines – The Philippines is pursuing its request for a 3rd Hamilton Class cutter from the United States, Navy chief Vice Admiral Jose Luis Alano told Rappler. 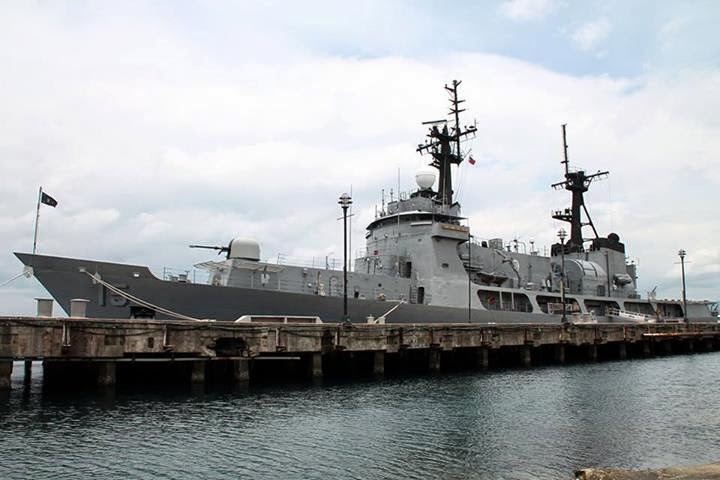 “As far as we are now looking at it, there will be a positive action for getting a 3rd Del Pilar frigate as we now call the Hamilton Class cutters,” said Alano on Monday, April 14. Decommissioned US Coast Guard ship BRP Gregorio Del Pilar and its twin ship BRP Ramon Alcaraz are currently the Philippine Navy’s most capable warships. Both have been deployed to the patrol the West Philippines Sea (South China Sea). The Philippines acquired them from the US in 2012 and 2013, respectively, through the Excess Defense Articles program. The Philippines only had to pay for the refurbishment of the decommissioned ships. The plan to acquire a 3rd cutter was previously scrapped. The Philipine military earlier estimated that it needs at least 6 ships to patrol the country's long coastline. Alano said the number is constantly being evaluated. He also cited existing cooperation agreement with the navies of neighboring ASEAN countries. Bidding for 2 brand new frigates worth P18 billion (US$400 million) is also ongoing. The Philippines and the US are finalizing a new military deal that will increase the presence of American troops in the Philippines and give them wider access to military bases. This comes at a time when the Philippines is locked in a bitter maritime dispute with China over the West Philippine Sea. The draft agreement has been submitted to Malacañang. Talk is rife that it will be signed during the visit of US President Barack Obama later this month, April 28-29. “The Armed Forces must decide what are the things they would like to get. I have not seen the wish list of the AFP,” said Cuisia. The AFP is constantly evaluating its requests for assets. It was previously looking at F-16 fighter jets from the US but changed its mind because of maintenance costs. “You recall we were looking at F-16s before. The AFP decided not to. Why? Because the maintenance costs are very high,” Cuisia said. The military instead opted to acquire for P18.9 billion a squadron of FA-50 lead in fighter jets from South Korea’s Korea Aerospace Industry (KAI). The Philippines and KAI signed the contract last month, March 28. It has been almost a decade since the Philippine Air Force retired the last of its US-designed F-5 fighters in 2005. The FA-50 has minimum fighter capabilities. Its design is derived largely from the F-16 meaning it won’t be a problem if the Philippines in the future gets the money to upgrade to the more expensive jet.